I would be appreciate if there is a user customizable "Rating" column in File List View/Tab. to assign and indicate that is a good but not topmost song. Can Resonic add this feature (too)? Having a custom tagging database along with star ratings would be amazing. Something similar to ADSR sample manager except obviously more extensive. Having favorites <3 . 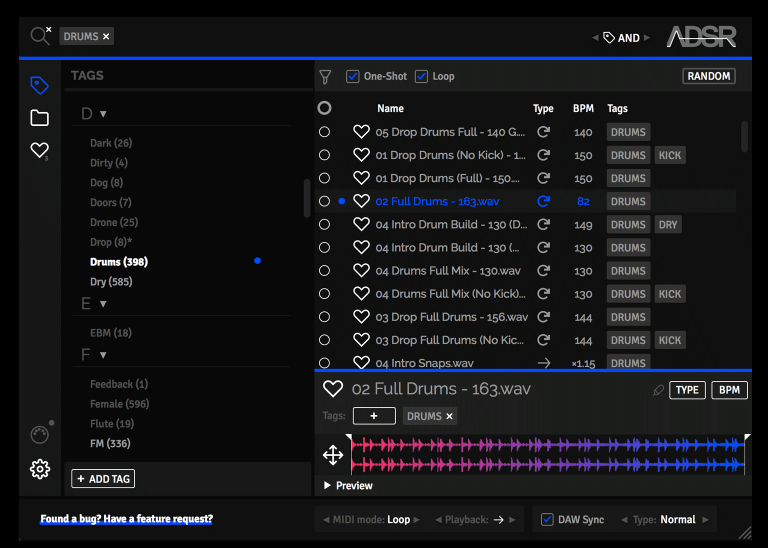 ADSR allows custom tags but also comes preloaded with tags that are automatically assigned to samples. For example if kick exists in the name then it gets tagged as a kick. I think Resonic is working on something similar but I'm not sure exactly what is planned or what features it will have. The rating column exists already, but is only read only so far. It can read various types of rating metas though and unify them into one common display of 5 stars. Test builds (on our Slack, see contact page) already display these tags and they are currently being evaluated by some of our users. You can expect to see this feature to move into regular builds in the upcoming versions.